Germany’s oldest major city, Cologne inspires visitors with its central cathedral which for centuries has been its pulsing religious, cultural and touristic heart, making it the most frequently visited attraction in the country. 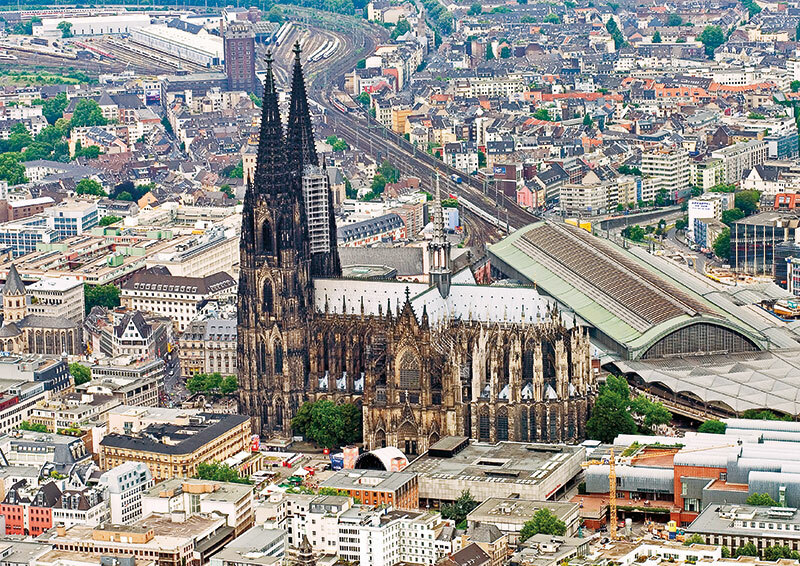 No wonder then that UNESCO declared Cologne Cathedral a World Heritage site in 1996. Standing in front of this magnificent Gothic building with its spires, having experienced the intricate stained-glass windows and the golden relic of the shrine of the Three Wise Men, I am now in search of something else. Cologne has been dubbed ‘City of Waters’ and I am on a mission to discover why. 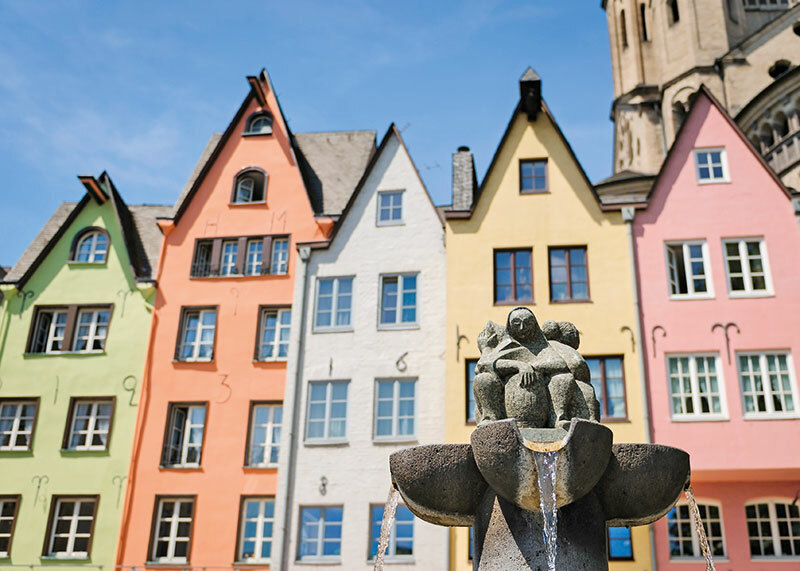 The first call is easy and I find myself on an hour-long river cruise on the Rhine, meandering past urban areas, riverside homes and a beloved city landmark, the Chocolate Museum, right on the river bank and constructed like a ship in glass and metal, poised on the edge of the old town. A later visit to the museum throws up its famed chocolate fountain, located in pride of place in the ‘bow’. 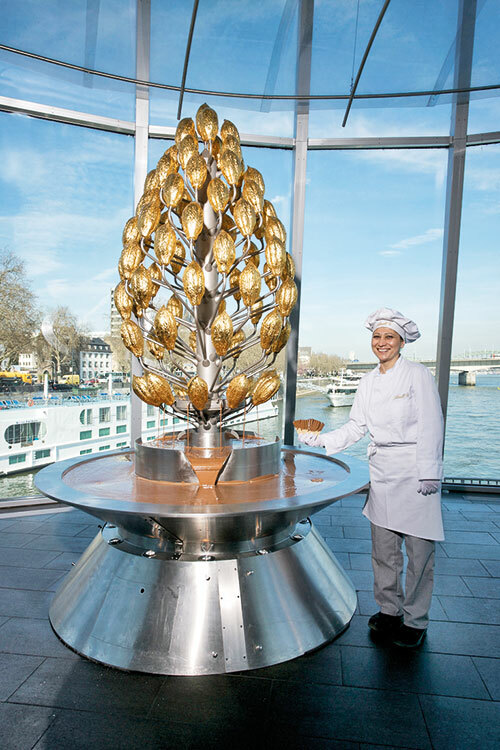 Decorated with 40 golden cocoa fruits, it is kept constantly filled with 200 kilograms of fresh Lindt chocolate, spreading its fragrance everywhere. I tick off number two on my list. After all, it is a fountain and as someone once famously said (didn’t they? ), ‘If you cannot get water, let them drink liquid chocolate’. Stepping back on shore, I discover gurgling water fountains everywhere. The fish market in the old town has one dedicated to fisher folk. Another celebrates the annual carneval, the city’s most important social event. 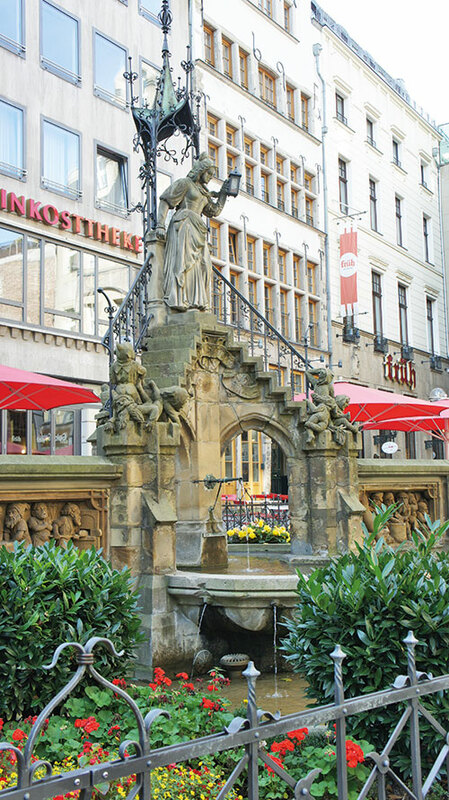 The Ostermann Fountain stands on Ostermannplatz. Its figures and inscriptions are depictions from the often bawdy songs of lyricist Willi Ostermann, sung by denizens swarming through narrow lanes in full fancy dress. Over by the cathedral, I discover a small trickle of water dropping into a bowl carved into the ground of the square that only the pigeons seem to know of. And somewhere behind the square, crossing the Roncalliplatz, I am overwhelmed by a life-size rendering of what seems to be Snow White and the seven dwarves. The city’s favourite landmark, Heinzelmännchenbrunnen, in fact, relates the legend of how Cologne was created by good pixies that emerged in the dead of night to do the work of lazy people. As I listen to the tinkling of water over metal and stone, I tick off a languid three on my list. I am now off to proclaim my love and become part of one of Cologne’s charming traditions. 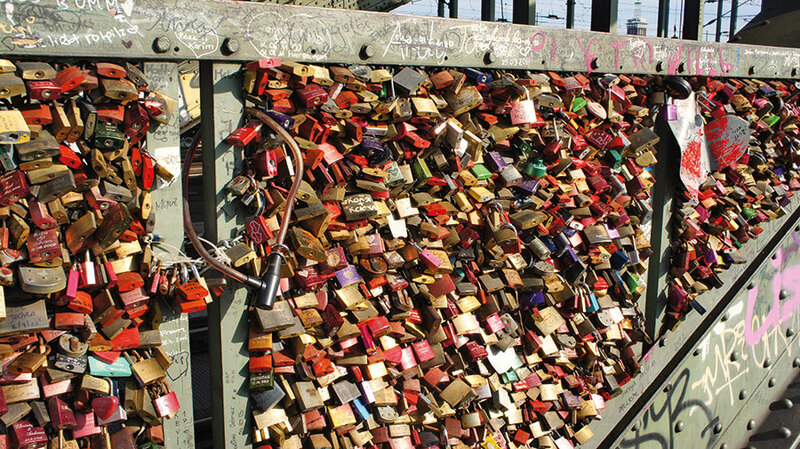 For years couples have been fixing padlocks to the railings of the Hohenzollern Bridge, declaring everlasting affection. The key, as part of this ritual, is thrown into the Rhine below. I am amazed at the tens of thousands of locks that catch the sun’s rays in shimmering colours, spanning the mighty width of the river. I know for sure that there is much love here in the city despite it having been bombed almost to rubble during World War II. Or perhaps, because of it! 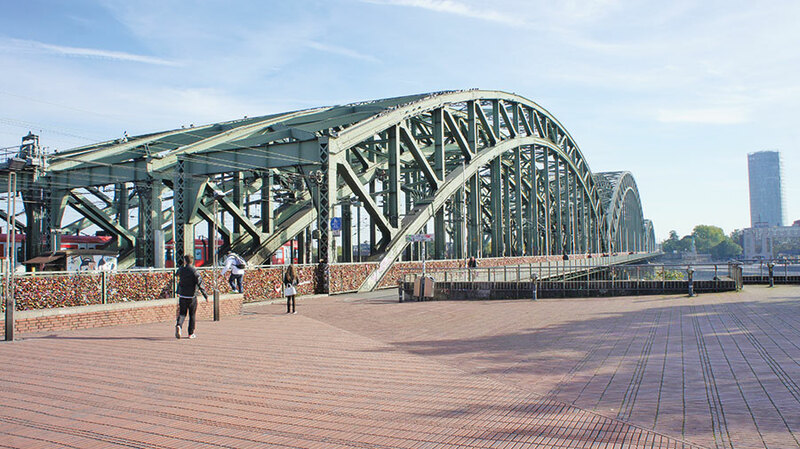 The bridge itself was destroyed in 1945 but rebuilt in its new avatar. As I walk on the pedestrian road, thinking that love can indeed change the world, I tick off an emotional four. It’s time now to sample the most luxurious and fragrant of all Cologne’s waters — eau de Cologne — literally translated as ‘water of Cologne’. 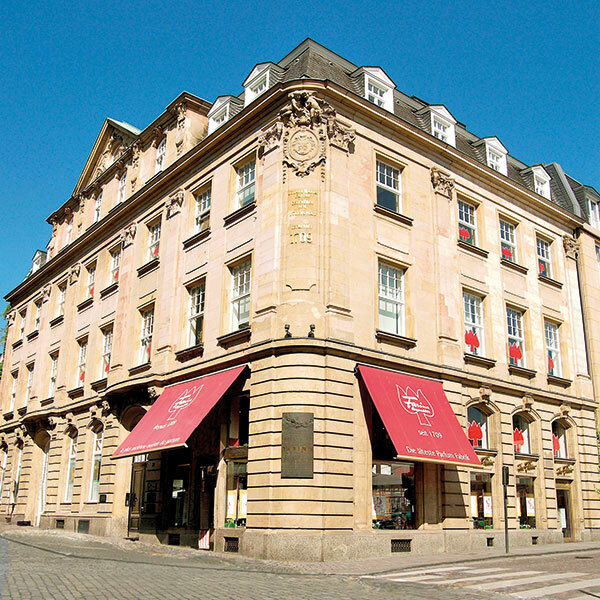 My first port of call is Farina House, which marks a site with a 2,000-year-old history, built over the ruins of the Roman governor’s palace and the medieval Jewish quarter. Here, at the Fragrance Museum, under the able direction of a guide togged up in a white curly wig and dress coat, I learn of the beginnings of modern perfumery. Giovanni Maria Farina came to Cologne from Italy in 1706. From here he later wrote to his brother, ‘I have discovered a scent that reminds me of a spring morning in Italy, of mountain narcissus, orange blossom just after rain. It gives me great refreshment, strengthens my senses and imagination.’ He was all of 23 and had little idea that he had created the perfume of the century, an invention that would change his life and that of generations to come. This was the original Eau de Cologne, which became a generic term later on. A museum tableau shows Queen Victoria drinking tea with J. M. Farina while the servants transport Eau de Cologne packages to the courtyard. A large painting of Napoleon on horseback dominates a wall for he was a big fan of the fragrance and used an entire bottle every day, fabled to be tucked away in his riding boot. A long list of celebrities and royalty that visited the oldest fragrance house in the world includes Indira Gandhi in 1959 and Princess Diana in 1987. Walking across the city, I come to my second eau de cologne stop. The blue and gold bottle of 4711 cologne is almost a symbol of my growing-up years, having become iconic across geographic frontiers. An intense rivalry exists between the two perfume companies, each one claiming their originality. Be that as it may, I discover a different and more commercial experience awaiting me at the House of 4711. In the flagship store located in Cologne’s Glockengasse, I am initiated into the company legend even as the iconic 4711 fountain spreads its fragrance everywhere. 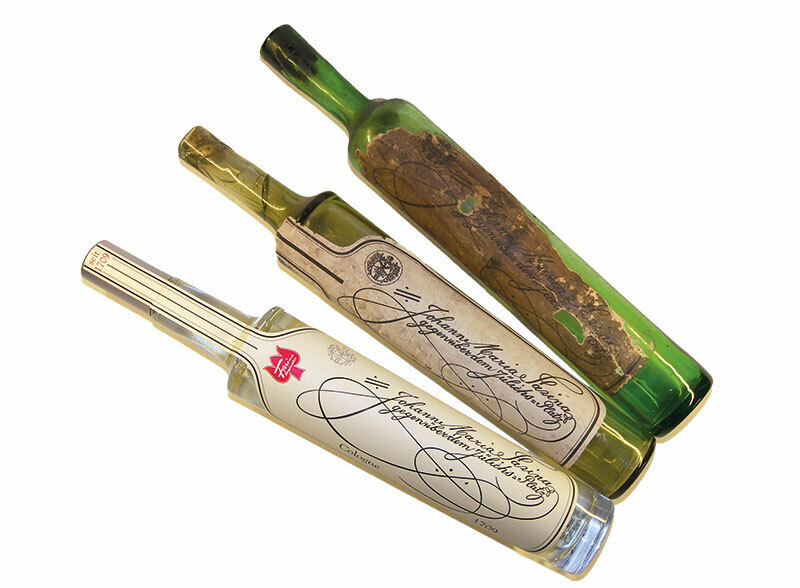 The Müelhenses received the gift of a recipe for an ‘aqua mirabilis’ from a Carthusian monk for their wedding in 1792. Soon after, Wilhelm Müelhens opened a manufactory for its production here, near where the House of 4711 stands today. The perfume got its name after the French occupation in 1796 when the city’s houses were numbered sequentially in order to make it easier to billet the soldiers. The house of the Müelhenses was given the number 4711. I, on the other hand, tick off a nose-tickling number five on my eau- and aqua-led listicle. I now cross over to Schildergasse, one of the country’s best-loved shopping streets. 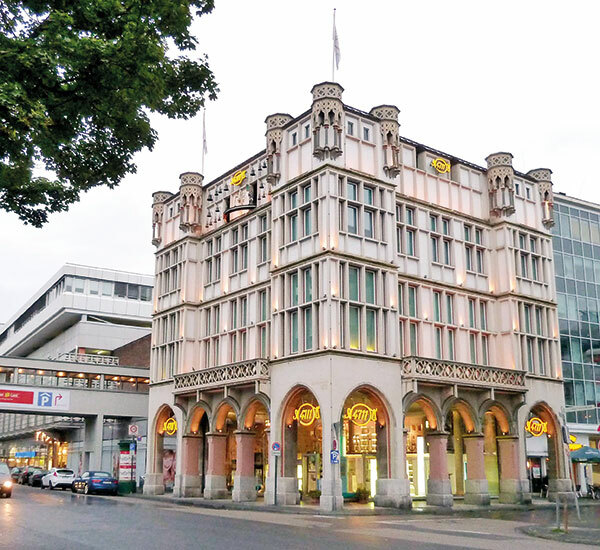 This and neighbouring Hohe Strasse are lined with major department stores and branches of well-known brands. If you have not made a pilgrimage to the city for its cathedral, come here for the shopping. I, however, wish to taste a vital aspect of the Cologne lifestyle and local culture in its many traditional brewhouses, located between the cathedral, the old city hall and the Rhine promenade. (Did someone say, ‘If you can’t have water, swig some beer’?) In centuries gone by, the people of Cologne would brew their own beer. In the 19th century, with the growth of tourism, modest pubs and private breweries began to sell their beers in entrance halls and narrow courtyards. Most of these were destroyed during the war. 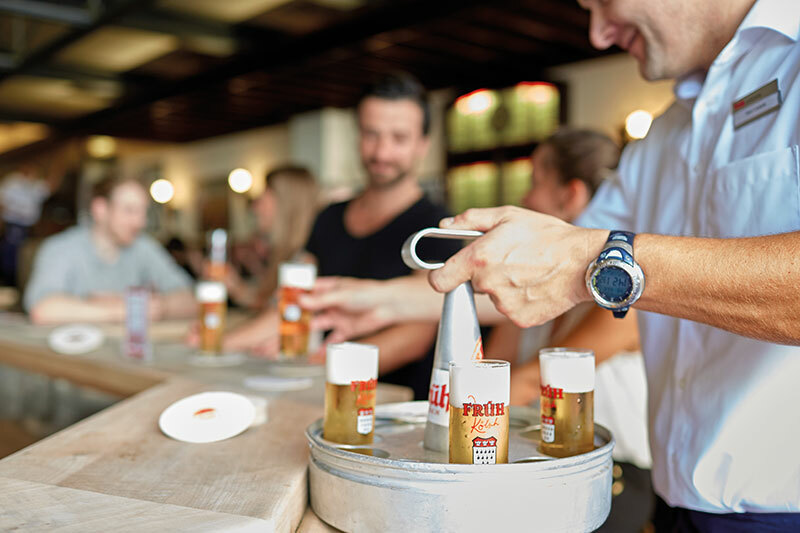 Today, traditional breweries focus on Kolsch beer (Kolsch is also the name of the Cologne dialect). Kolsch is a top-fermented beer that may only be brewed in Cologne. It has a relatively high alcohol content but is less carbonated, making it light and easy to digest. It tastes best served directly from the tap, in typical thin glasses called stangen, found only in this city. Kobes, or waiters in traditional costume of the old brewery workers, incredibly carry multiple tiers of brimming glasses in a kranz or round tray with a pole sticking out of the centre to hold it by. The Kolsch tastes fresh and makes me feel like a local as I dig into traditional fare including himmel und erde or heaven and earth, consisting of mashed potato covered in an apple sauce served with fried black pudding and brau hauswurst, brewery sausage with fried potatoes. My head is singing with an excess of the golden liquid as I carefully tick off number six, with great satisfaction. All that walking around calls for some relaxation. 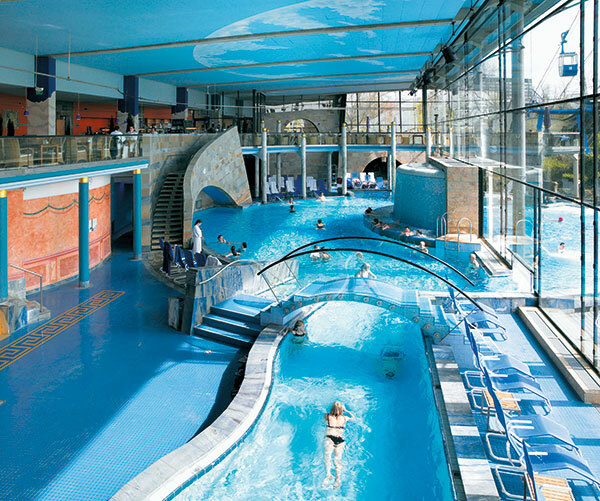 Situated in the Rheinpark area is Claudius Therme, one of Europe’s most beautiful thermal baths. A natural thermal mineral spring supplies the various bathing facilities with healing waters that have been accredited by the state. ‘Please notice here that if you want to enjoy the sauna, it is usual in Germany to be completely naked. For using the thermal bath you can wear bathing togs’ I had been warned. I decide to by-pass both and opt for the individually-tailored Sothys beauty facial which includes skin diagnosis, cleaning, exfoliation and a soothing massage with a mandarin and orange face pack. I feel incredibly relaxed and ready for anything as I notch up a neat seven. As I leave the spa and step into the falling darkness, I feel large drops of rain patter onto the sidewalk. Dare I? Should I? Can I make that a round figure of eight?